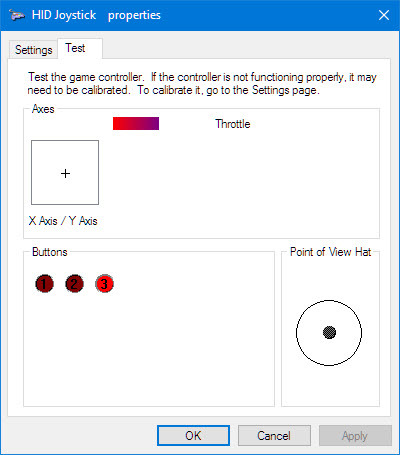 The FreeRTOS component has now a setting to configure the FreeRTOS configUSE_NEWLIB_REENTRANT setting. If enabled, each task will have a reent structure assigned. Naturally, this setting is only useful if using the newlib or newlib-nano library. 💡 You must be familiar with newlib/newlib-nano reentrant usage and implementation. See as well this thread. and read the documentation inside of the newlib library. In general I do *not* recommend to use any standard library calls (like printf() or sprintf() in a multithreaded environment, as most implementations are *not* thread safe. Instead I’m using the string and printing functions of the McuOnEclipse libraries (e.g. Utility or Shell) which are thread safe. 1-Wire is a bus system designed by Dallas Semiconductor and can communicate with devices with one wire (plus GND) only. Basically it is a kind of I²C on one wire: one wire is used both for data and clock which makes it very interesting for low-cost connection to memory, sensors and more. The other cool feature is that with the two wires (GND + Data) it is possible to power small devices, so no other power lines are required. 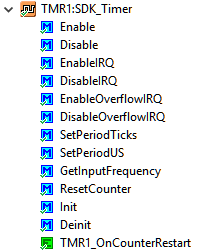 To facilitate porting legacy Arduino software, several Arduino functions have been added to the Utility component, including map functions. map64() is a 64bit variant. The TSL2561 is a digital light sensor, found on the Hexiwear or available as breakout board e.g. from Adafruit (https://www.adafruit.com/product/439). 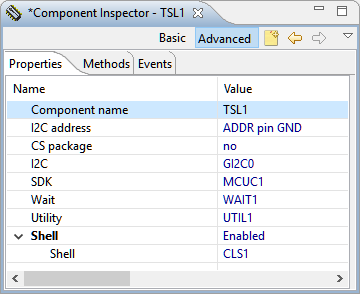 The component implements a complete driver over I²C and includes command line support. This entry was posted in Component Release, Embedded, Embedded Components, FreeRTOS, Freescale, I2C, Processor Expert, SDK, Shell, SourceForge, USB and tagged 1-Wire, CodeWarrior, DS18B20, Eclipse, Embedded Component, FreeRTOS, Freescale, Joystick, Kinetis SDK, newlib, newlib-nano, NXP, open source projects, software, software project, ST756P, TSL2561, USB HID by Erich Styger. Bookmark the permalink. have you restarted the IDE? 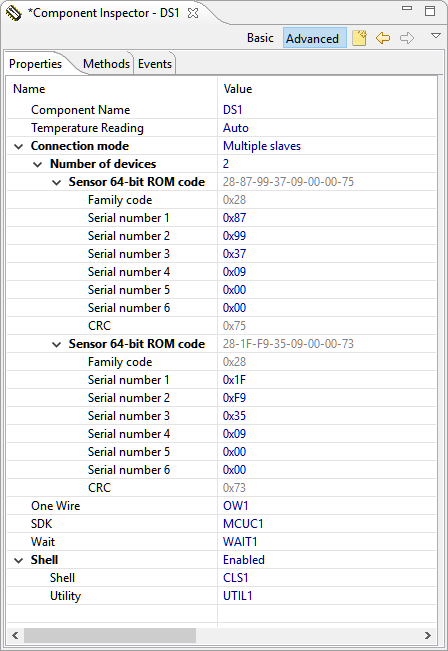 There is a new group ‘MSD Device’ present in the FSL_USB_Stack which is that MSDDeviceGroup. 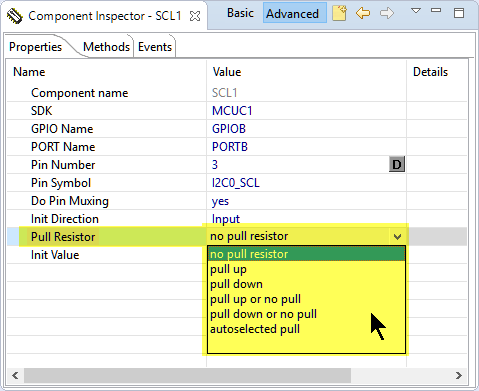 If you have imported the components and you did not restart the IDE, then your component might not have the new settings. Can you retry and let me know? 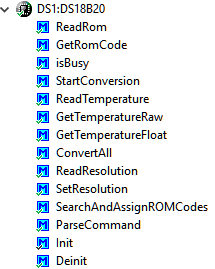 after a close-open (IDE) cycle, I have solved the problem. 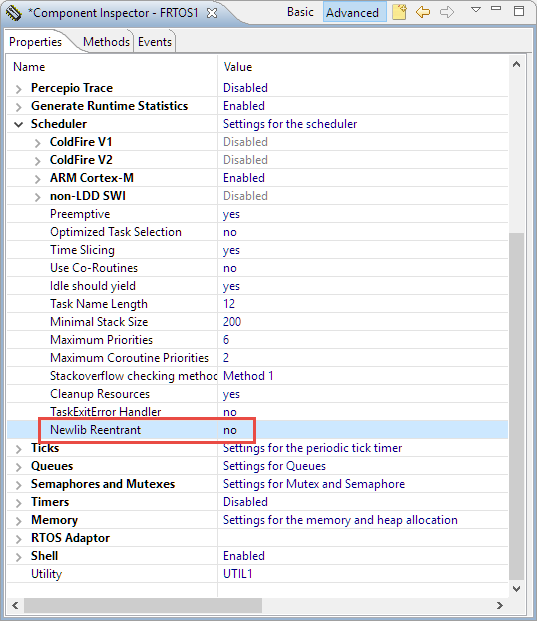 Processor Expert yet is support from NXP for the new MCUXpresso IDE? I’m a little bit confused with this….. Thanks for these excellent beans! These really do allow for rapid development. My question is regarding the license. If I use your component in my firmware of a proprietary embedded device (just a light bulb), must I distribute the license text? And if so, how? As for licensing, that depends on what you are using. I have put up the license texts on https://github.com/ErichStyger/McuOnEclipse_PEx. Generally speaking, you have to keep the license text in the sources, and you have to provide the license text if you provide sources. Other than that, you don’t have to mention anything. Of course you are more than welcome to do so :-). Any chance you could give us a rundown of how heap allocation works with the FreeRTOS component? Or more specifically, how it fits in with EWL? FreeRTOS’s own allocation schemes make sense to me, but I can’t get EWL to behave like the docs say regarding placement of the heap. Should FreeRTOS be using its own heap only for FreeRTOS objects, with everything else going in EWL’s heap? 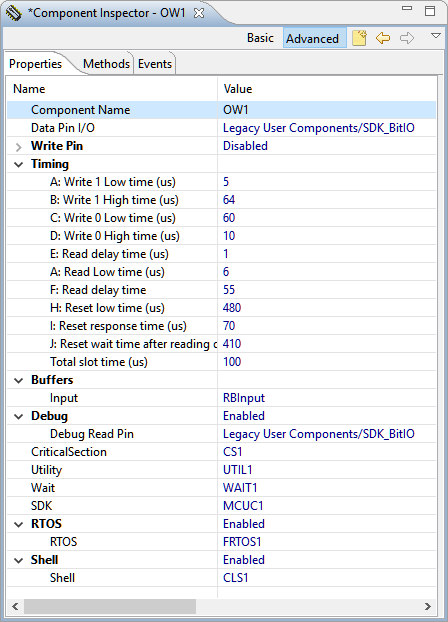 Should EWL be reconfigured to use FreeRTOS’s allocator so FreeRTOS handles everything? And is that done with EWL_OS_ALLOC_SUPPORT? 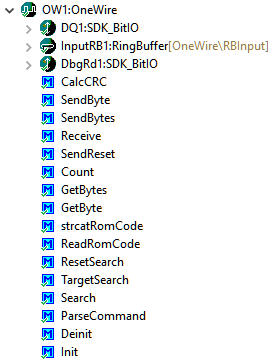 I’ve been making good use of the FreeRTOS component and I appreciate all the work you’ve put into this collection. I hope we’ll see a good successor to Processor Expert soon – I was ready to start packaging a lot of my own components for reuse before I found out PEx is deprecated. I tried to avoid EWL and its custom library functions at any price and whenever possible. I rather have written my own functions instead of using EWL because of bad experience :-(. BTW, what microcontroller family are you using? I general I recommend not to use the library (EWL or newlib) memory allocation schemes (see as well https://mcuoneclipse.com/2017/07/02/using-freertos-with-newlib-and-newlib-nano/ on such a saga). Instead, I writing applications to only use the FreeRTOS memory allocation. This can be probelmatic again if things like printf() etc are used (which should be avoided again). Speaking about depreciated: to my knowledge, EWL is depreciated too, so better consider something else? If you are using ColdFire with EWL, I could look into it, but it has been a while I have used ColdFire. I’m mostly working with the K22F, specifically the MK22FN1M0AVLH12. I’ve still got some legacy stuff to support on ColdFire so some of my Kinetis projects stay very close to their ColdFire equivalents and I’m mostly stuck on CodeWarrior 10.7 for the sake of those and some HCS08 projects. I agree that printf() is generally to be avoided if you’re just doing some log output or something and I got by without it for many years, but my main project right now (the one I’ve ported to FreeRTOS) is very PC-like, with a shell accessible by CDC or telnet, a BASIC interpreter, full-screen text editor, and so on. printf() saves a lot of time and effort there. I do try to limit my use of dynamic memory allocation to things like the shell that are interactive and used only intermittently. 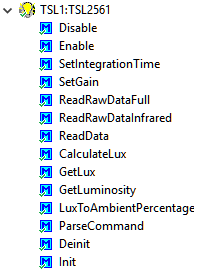 All of the DSP tasks and such use static allocation only. Is there another library I ought to be using for Kinetis under CW 10, aside from EWL or newlib? And do you know if it actually works to configure EWL (or newlib for that matter) to use FreeRTOS’s malloc()? I’ve found that plenty of stuff in the EWL docs is wrong or out of date. Under CW you indeed have the choice of EWL and newlib. That’s not a problem for me as I’m using my own routines (e.g. xprintf()) if possible. There is a (GNU) way to overwrite functions in the library. I have found it by an article from Dave Nadler (see https://mcuoneclipse.com/2017/07/02/using-freertos-with-newlib-and-newlib-nano/ and http://www.nadler.com/embedded/newlibAndFreeRTOS.html): It uses -Xlinker –wrap=malloc to wrap around the library functions. As pointed out by Dave: you would have to catch all variants of malloc(). For me what worked best is not to rely on the libraries, but instead having full control from my application what is called, and not using any of the library functions if possible. Another question on the beans. I just ran the FRDM-K22F SD card demo. Works great. Sadly the MK22FN1M0AVLH12 only has one accessible SPI port which is already in use for a serial NOR flash, and in one experimental variant of the project also an OLED display. Can I set up the SPI access macros to use my mutex so I can share the port with the SD card as well? I really don’t like the idea of having a potentially hot-plugged SD card on the same bus as other critical stuff, but there’s not really a good alternative on this part. 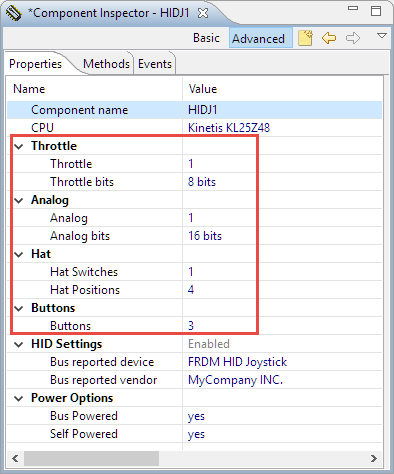 sharing the SPI bus properly is not that hard, but depends a bit on how you use it. I have an example of it here (https://github.com/ErichStyger/mcuoneclipse/blob/master/Examples/KDS/INTRO_K22_Robot/INTRO_RoboLib/SPI.c): basically every access to the SPI bus is guarded by a mutex. For this the easiest way is to use the hooks present in the component, see the OnActivate() hooks in https://github.com/ErichStyger/mcuoneclipse/blob/master/Examples/KDS/INTRO_K22_Robot/INTRO_K22_Robo/Sources/Events.c. That project is a rather complex one (sharing the SPI bus for SD card and for a MP3 encoder/decoder chip), but this gives you hopefully the idea. Seems all roads lead to you when it comes to doing anything interesting with Kinetis. I just followed a 5 year old comment thread from FreeRTOS.org right back here. I’m using your FreeRTOS PEx component, but not the USB component. 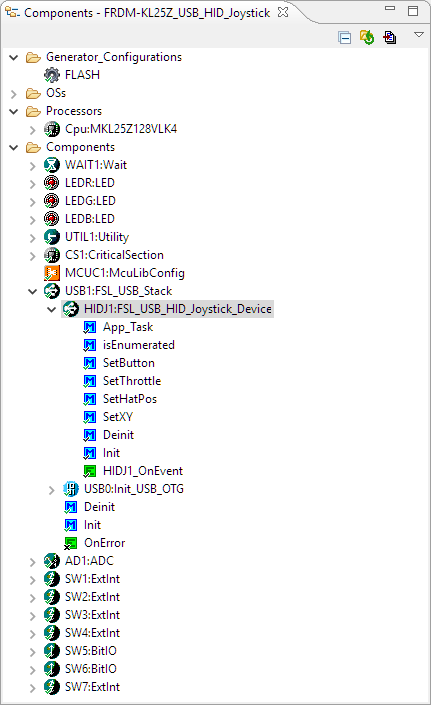 I’m running the Freescale bare metal USB stack with some tweaks (things like being able to choose from multiple descriptors at startup for different operating modes and for notifying the host in MSD mode that storage contents have changed) so I don’t want to enable your component for that. 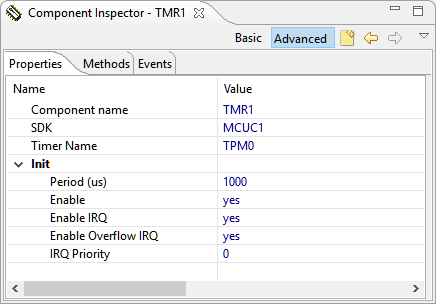 Does your component have an OS adapter for FreeRTOS? The stack has its bare metal stubs and an MQX adapter. Before I rewrite that I thought I’d check yours, but I’m not sure how PEx stores things and where to find that. My version of the device USB stack does not need an OS adapter, it can work without the RTOS. I’m using a variant of the Freescale v4.1.1 stack. For the host version I only needed to replace the memory allocation calls to use the FreeRTOS heap ones instead of the normal malloc() ones which were used in the stack, because the malloc() implementation is not reentrant. I have not used MQX for a very long time, so I cannot comment on that part. I have to check it with that release, but it could be that it is already fixed. Have you tried the 26-Dec-2017 one already? I quickly tried it with the latest version (Version : Component 01.017) with the default settings, and it works without error for me. Can you try the latest version? I tried. But my all components are old therefore i have lot of wrong sembol. Hard to tell what the problem could be. It looks like you did not install the files/drivers properly. Can you import them again from the .PEupd files? Be sure to import both *.PEUpd files, part 1 and part 2. I tried diffrent comptr. and i installed two component files. But OW. component coudnt find ring buffer. That’s really strange :-(. Maybe you could send me your project to my email address listed on https://mcuoneclipse.com/about/ so I can have a look? Has anyone already made an effort to use the new FlexIO device to implement the 1-Wire protocol? I searched for that at the time of that article, but did not find anything. I doubt it has changed, but maybe someone else knows? I would imagine that any patent issues are irrelevant, because all of the original 1-Wire patents must have expired by now. It might be a trademark issue though, maybe I have been googling for the wrong keywords (singlewire? ).